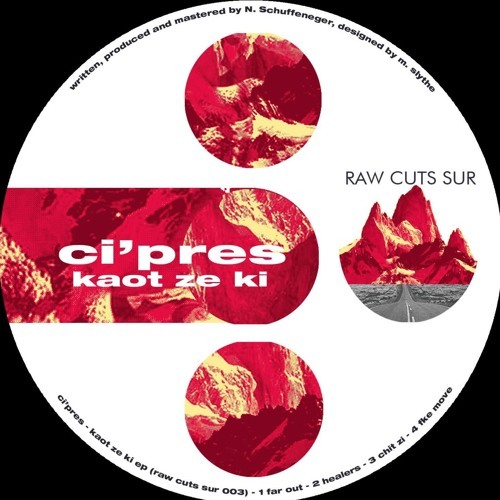 Raw cuts Sur presents its third release called Kaot Ze Ki by Ci'pres. This 4-track house records offers a combination of powerful line synthesand chords. Centered in the south of Argentina, it explores the sound landscape of its musicians, giving rise to the styles that merge in the dance floor.